6'1" 210 lbs. Kerim Topsakal is a Turkish muscleman with a website as slick and good looking as he is. 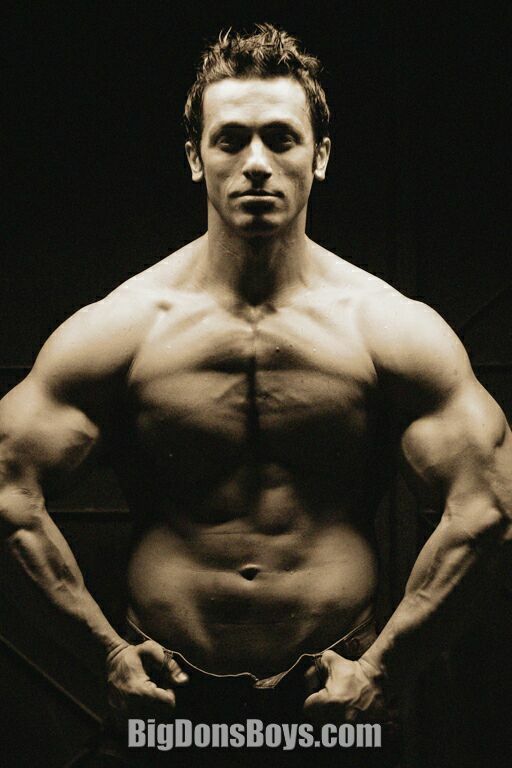 He got interested in bodybuilding after he saw his first Sylvester Stallone movie and he has been lifting ever since. In 1993 he won his first "first place" bodybuilding trophy and has been competing in many contests since then, often taking first or second. He's also a sport trainer and martial artist. Besides bodybuilding he also likes movies, plays, video games, music, books and soccer soccer soccer!His website at the link below is frequently updated, well designed, full of nice pictures and comes in Turkish and English, good job Kerim! Now just write a bit more about yourself.